Casey and Josselyn’s California roots spread throughout the Golden State. 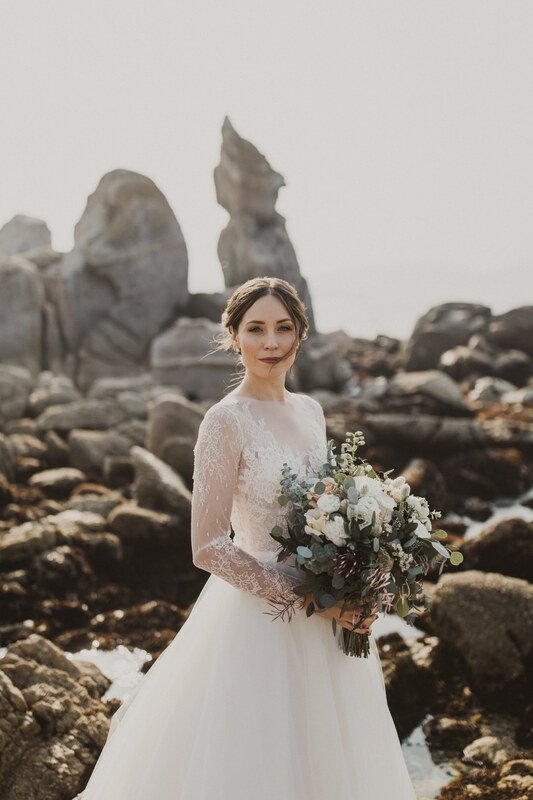 Both of their families have a connection with Carmel-by-the-Sea—Casey’s great-grandmother owned a dress shop downtown and Josselyn’s grandparents have called it home for years. After becoming engaged while on holiday at Yellowstone National Park (more on that later! ), Carmel was a natural choice for the place their Mrs. and Mr. story would begin. The fact that the town is drop-dead beautiful didn’t hurt, either. 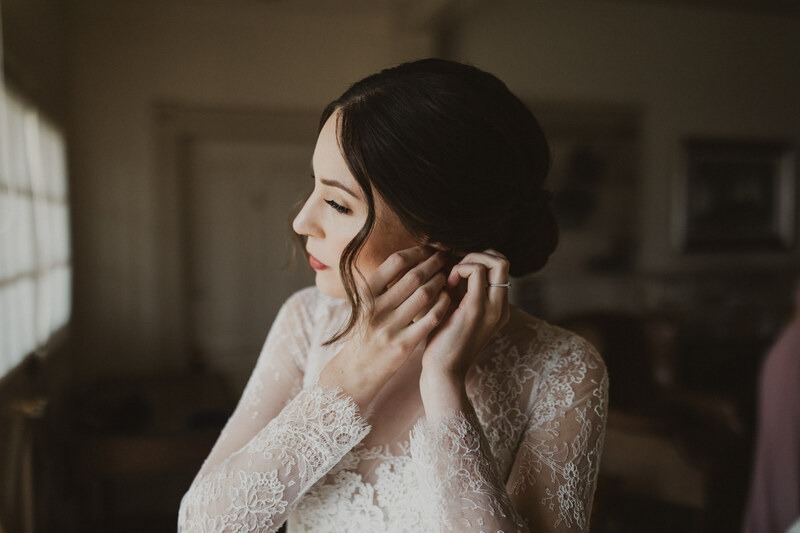 Josselyn’s search for an ethereal, vintage-inspired dress brought her to Lace & Bustle, where Patrice was the very first frock she tried! 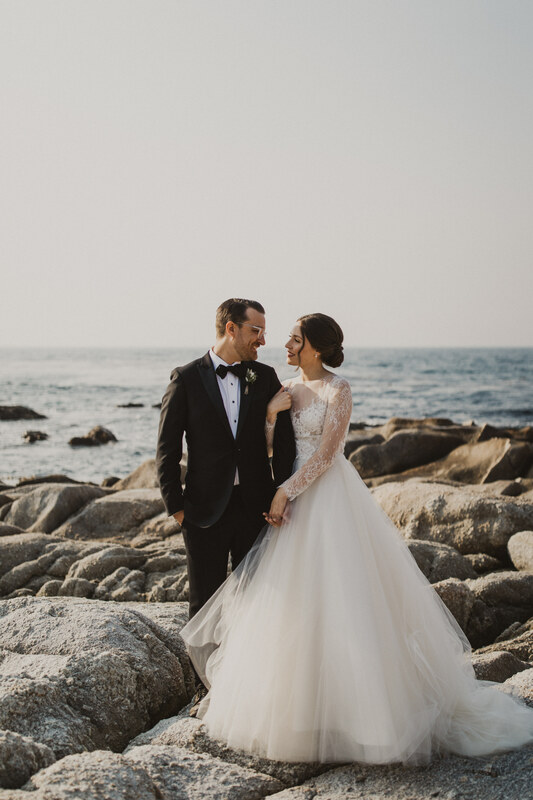 “We chose to get married in Carmel-by-the-Sea at a wonderful venue, restaurant, and hotel called Mission Ranch. Most of our families are split across Northern and Southern California, so we chose Carmel for its natural beauty and the family history we both have there. Casey’s great-grandmother owned a dress shop downtown, and my grandparents have lived in Carmel for decades; it was the perfect place to gather all of our family and friends. We knew we wanted to incorporate and complement the environment as much as possible into our wedding. 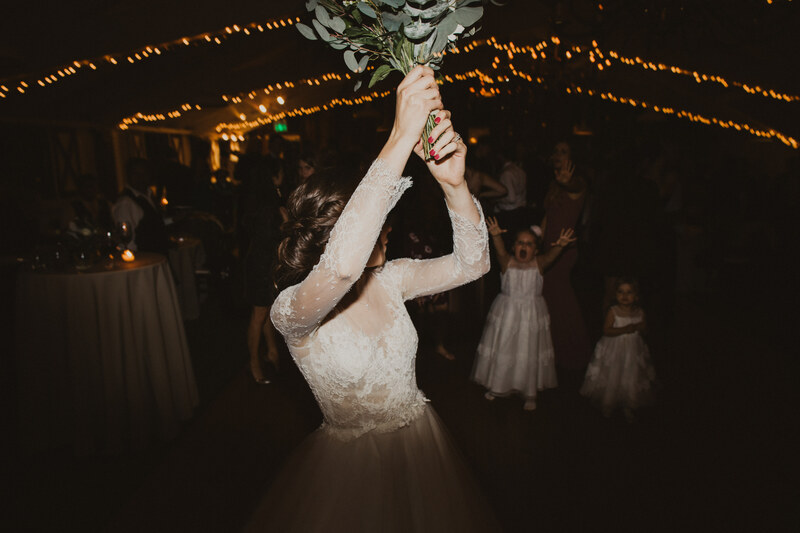 Carmel is so naturally striking, so we opted for an outdoor ceremony and indoor reception with lots of greenery and a few seasonal elements. Our magnificent florist Laughin’ Gal Floral created the most beautiful garlands and bouquets.